Use the menu to the right to start your cost savings. 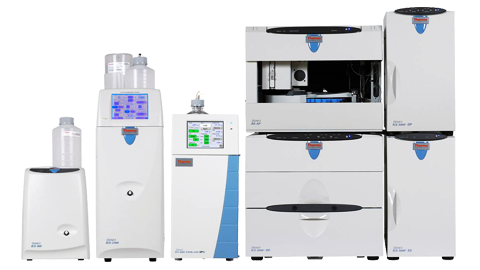 Discover the lowest total cost of ownership with Thermo Scientific Ion Chromatography and Sample Preparation instruments. The Cost Savings Calculator is provided as a free service. The information supplied by this calculator is based on your information and assumptions that we believe to be accurate, but no guarantee, explicit or implied, is made regarding their accuracy or applicability to your specific circumstances. Thermo Fisher Scientific does not accept any liability for loss or damage whatsoever, which may be attributable to the reliance on and use of the calculator. Use of the calculator shall constitute acceptance of the terms of this agreement. How helpful did you find the cost calculator in enabling your lab to make purchase decisions? 1 2 3 4 5 6 7 8 9 10 10 being very helpful. Changing currencies will reset all entered values. Would you like to continue?